Tamara James is licensed as a Marriage & Family Therapist and affiliated with AAMFT, the American Association for Marriage & Family Therapy. In her practice, she treats individuals, couples, and families, with a focus on understanding symptoms and diagnoses within interactions and relationships. 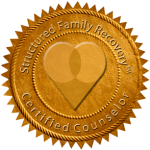 In treating individuals from a family system’s perspective, as defined by the client, she focuses on helping them achieve the most satisfying, supportive level of interpersonal relationships. Couples of all types will be guided in recognizing and resolving conflicts through an attachment lens to improve their relationship. Marriage and Couple’s Therapy allows individuals in a committed relationship to sort through the problems in communication, behavior, and values that might cause extreme unhappiness and stress, as well as learn to share their goals and concerns. *Workshops are designed to assist couples in having conversations which allow for safe emotional re-connection and sustain their attachment bond.